All the small details of Cryptocurrencies can sometimes obscure a person from looking at the big picture. Many old technological and financial paradigms are soon to be changed by blockchain technology because it is transparent, immutable and has a distributed structure. These benefits can be further classified into a few big categories. Asset Tokenization is one of these. Blockchain can inject liquidity into previously cumbersome markets. This article will look at the tokenization landscape and the three main assets that will likely benefit from the technology of blockchain adoption. 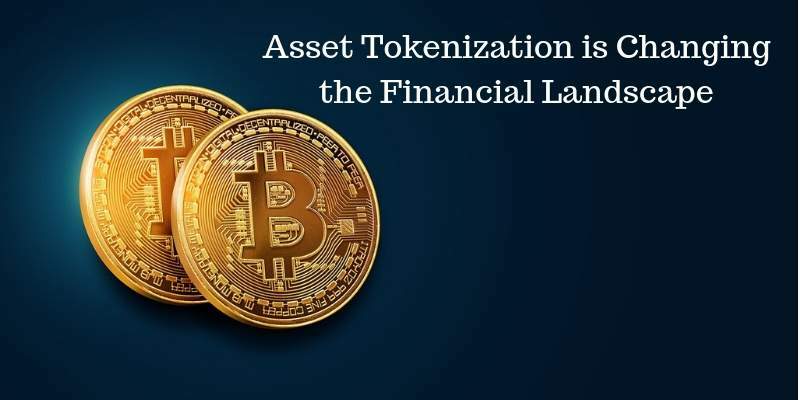 Speaking in a broad sense, tokenization is the process of converting a form of asset into a token. This can then be moved, stored or recorded on a blockchain system. This is not as complex as it sounds. Simply put, tokenization converts the value stored in a physical object like a painting into a token so that it can be manipulated along a blockchain system. This conversion also includes intangible objects such as carbon credit. Decentralized blockchain network makes various investors be able to access massive investment opportunities and not just a few people. A blockchain Asset Tokenization makes investing more efficient and convenient the same way Bitcoin has significantly changed the financial landscape. With this method, the liquidity of tangible assets is increased since it can be divided into small units. This encourages more market participants to join. Thus, asset tokenization seems to be the most promising applications. Blockchain tokens correspond to participation rights in form of decentralized protocols and so it is easier for investors of all sizes to purchase shares in certain resources. This possibility has stirred up interest among investors on how to move real-world assets into a blockchain. The whole idea behind this tokenization of assets is to convert the rights to particular assets that have economic value into a digital token. Such tokens can then be stored and managed on a blockchain network. This can have a tremendous effect on trading and investment. It promises greater transparency, data integrity, liquidity and exchange potential. When an investor tokenizes assets, he can start trading them in a Cryptocurrency fashion making it possible to manage their value exchange under contract printed on the blockchain. Immutable: nobody can obliterate the ownership of an investor once he buys the tokens. They are his forever. Accessible: tokens can be accessed from practically any place across the globe, for instance via a Smartphone app. Divisible: since tokens promise greater liquidity, there isan increased expected value from the trade. Hence, the need for minimum investment is eliminated. Cost-effective: middlemen often limit investment accessibility since only accredited investors are allowed thus resulting in higher fees and require and access to stock trading accounts. Tokens eliminate the need for middlemen and this opens up various investment opportunities to investors of all types. Transparent: there are no irregularities when it comes to the transfer of ownership and therefore all information represented is accurate. A distributed ledger infrastructure needs to be developed for the liquidation of assets on a blockchain technology. This is different from the usual blockchain system. One would still need a protocol consisting of a chain of smart contracts during the payment and transfer of legal rights, wallets to store the tokens, and a trading platform to execute the whole mechanism. An individual will need to realize that there are differences with the type of tokens used. In the crypto world, a token is described as a specific type of Cryptocurrency which exists on a blockchain. However, in the world of tokenization, different types of tokens are needed. A utility token is what gives a user access to a product or service. They are mainly used to operate inside a blockchain ecosystem. These are not designed as investments. This represents the actual ownership of an asset. A security token can be used as an economic unit for operation inside a blockchain system. An investor can actually profit from these types of tokens. No territorial barriers: an investor from any location in the world can invest in a building that is on the other side of the world without having to move out of their country. He will also benefit from the speed and ease of transfer offered by the network. No middlemen: there is no need for third pat brokers to facilitate trade. This ensures a speedy process making it efficient and economical. Lower investment risk: a more diverse portfolio for an investor due to the possibility of partial ownership of several assets. Improved liquidity of tangible assets: the tokens enable fractional ownership. Globalization of capital that results from the liquidation of assets can significantly increase the demand and ease down the market entry. This, in turn, leads to diversification and growth. Although this technology is quickly evolving, the regulatory framework is still lagging far behind because of minor setbacks. The challenges facing it such as improvement of security infrastructure, identification of incentives to trigger more participants and development of tax regulation still need to be addressed. There are countries that have already made preparations for the legal framework to be fitted into the new blockchain market models. These countries are now the frontier of blockchain adoption including tokenization applications. It is only a matter of time before asset tokenization on blockchain becomes fundamental inreal-world assets.